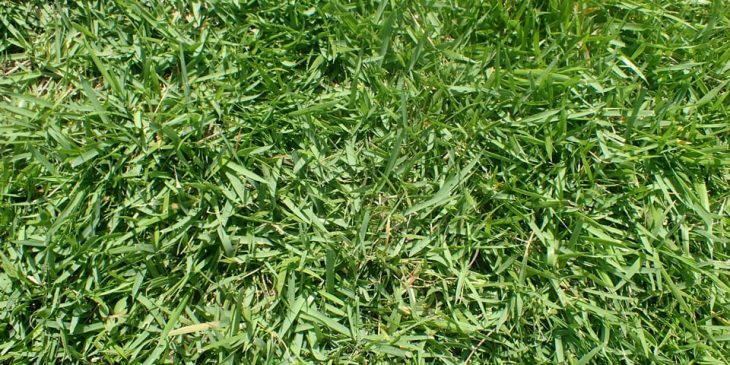 Zoysia grass is a creeping, warm season grass that is known for its ability to withstand high temperatures, prolonged drought, and heavy foot traffic. Zoysia grass is native to Asia, but has been popular in the US for over a 100 years. Depending on the region of the US you live in, this turf grass can either make for a great choice, or a terrible choice. This warm-season grass is native to Southeast Asia and is very popular throughout Texas, as well as in other hot southern states. Because Zoysia grass easily forms sod, it’s very popular with sod farmers and homeowners looking for a solid and durable lawn. There are many different types of Zoysia grass available, and all of them vary somewhat from each other. 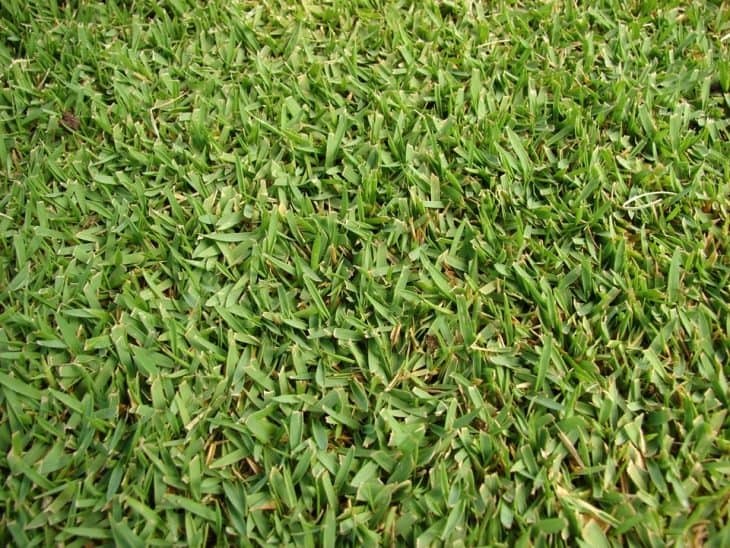 The original Zoysia grass is known as “Amazoy” or “Meyers” grass. 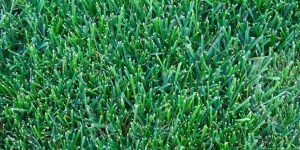 This grass has an attractive deep green color, grows tightly together, and does a great job of standing up to drought and cold weather without a lot of damage. One of the most common types of Zoysia grass is Zoysia japonica, while Zoysia matrella and Zoysia tenuifolia are also common. 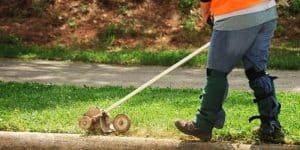 This common type of lawn is often considered to be one of the best grasses to cure all problems that homeowners have, which is why it’s so often used in yards. Another popular type of Zoysia grass is “Emerald.” While usually laid as sod, this type of grass can be planted as plugs, if you prefer. It has a moderate shade tolerance and will quickly die in colder weather. 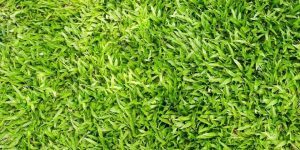 One final option for homeowners looking for Zoysia grass is “Zenith.” This type of Zoysia grass can be planted from seed, although it’s a good idea to hire a professional to do the planting so that there is the best chance of success. Since Zoysia grass is a warm-season grass, it simply will not grow well in northern or cooler climates. 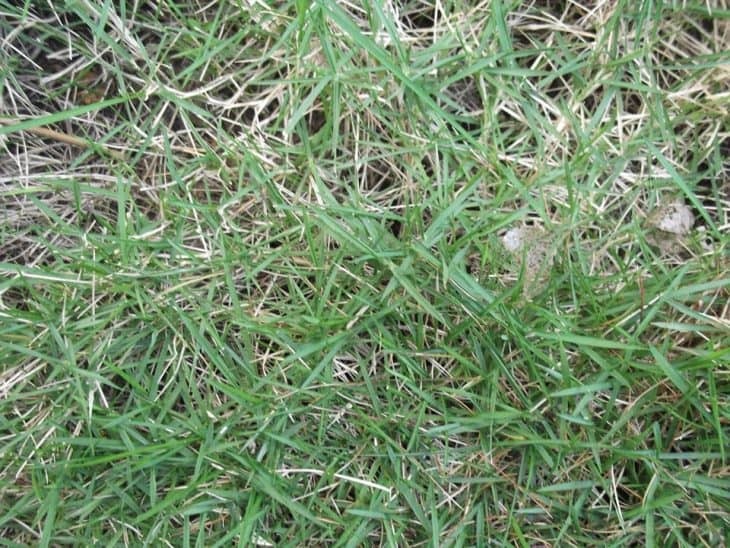 While there are some types of Zoysia grass that are more cold-tolerant than others, in general, this grass will quickly brown and die when exposed to cold weather. 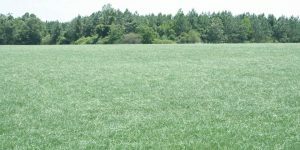 However, this grass doesn’t do well in the shade, so those characteristics combined make it great for planting in the deep south. While Zoysia grass can be started from seed, this can be a very long process. It’s much better job to use sod or plugs to enjoy a new lawn quickly. Additionally, Zoysia grass will take an even longer time to germinate and to grow when planted in any area with a little shade. Because of how dense Zoysia grass is, it makes a full and thick lawn, and it is very resistant to wear and tear. 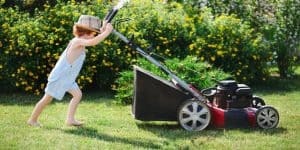 This means that homeowners can opt to have a lawn with Zoysia grass, even if they have children and pets who are constantly playing outside. 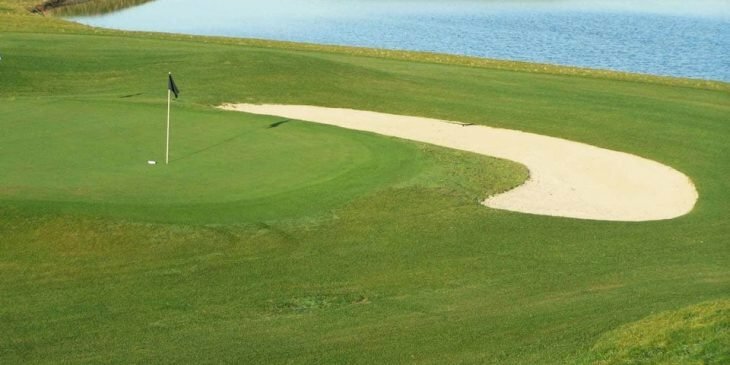 While it is not very common to find Zoysia grass in farming situations or in sports fields, it is commonly used on golf courses. 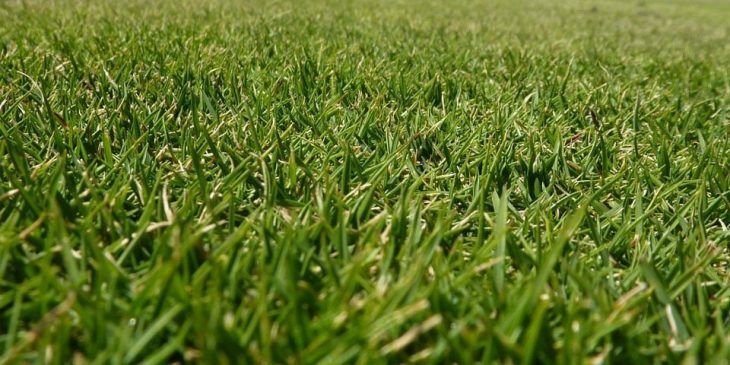 There, the grass can stand up to regular use and people walking on it, but there isn’t as much wear and tear as there would be on a football or soccer field. 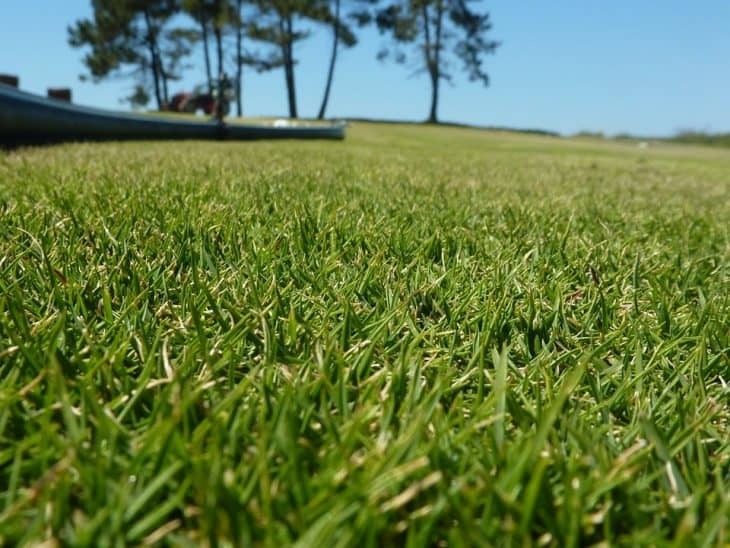 Since Zoysia grass grows slowly, especially when compared with other types of grasses, it’s just not a good choice where there is a lot of concentrated traffic, as it won’t recover quickly. In general, you won’t want to plant your Zoysia grass in areas that get cold. Even transition areas can be too chilly and harsh for Zoysia grass to have a good chance of growing, which is why this type of grass is mostly used in the southern states of the US. Zoysia grass needs to be in the full sun in order to have the best chance of healthy growth. 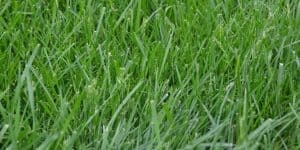 There are some types of warm-season grass that can grow in partial shade without being damaged or having their growth stunted, but Zoysia grass is not one of them. This grass is incredibly tolerant of full sun all day long, and in fact, that is when it will grow the fastest and look its best. Even small trees or a little shade can negatively impact Zoysia grass. As Zoysia grass is so well suited to full sun all day long, it makes sense that it is very tolerant of higher temperatures. In fact, this is one of the most tolerant grasses when you are working in hot areas. Unfortunately, although Zoysia grass does really well in hot areas, it doesn’t do well in cold areas. While there are some types of Zoysia grass that will be able to handle cooler temperatures better than others, in general, Zoysia grass will start to brown as soon as it is exposed to cold temperatures. 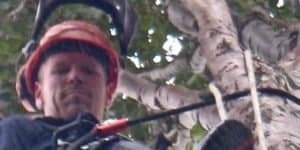 This can cause homeowners a lot of frustration, as it is unsightly. Because Zoysia grass grows so slowly, it won’t green out in the spring quickly after being browned. While Zoysia grass is generally thought of as being fairly drought tolerant, which is true, it’s important to note that it is much more drought tolerant in slightly cooler areas of the country. Additionally, this grass will stand up to droughts best when it is fully established. Once Zoysia grass has a deep and established root system then it will be able to go for longer periods of time without water. In general, this grass needs about 1” of water a week. It’s best to water in the earning morning if you have an established lawn and in the early afternoon for new grass. 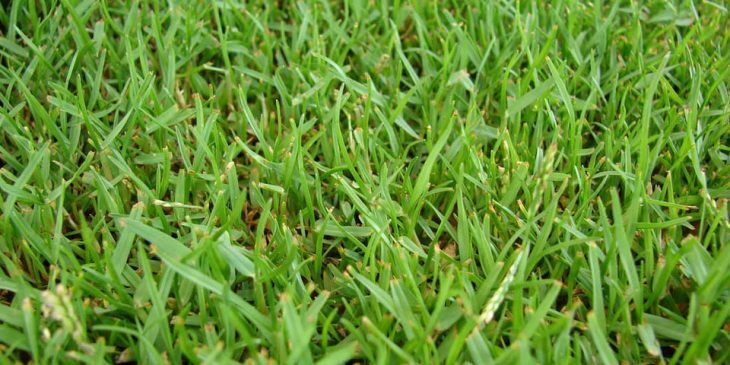 While Zoysia grass is incredibly tolerant of wear and traffic, it is not a fast-growing grass. This means that it’s a much better idea to plant Zoysia grass in areas where there will be foot traffic, but where it won’t be completely torn up by people using the lawn. Thanks to the way the blades of grass grow close together and how tough they are, Zoysia grass can stand up to intermittent use, such as in a yard or even baseball field. It’s when there is prolonged activity on the grass that it will start to wear out and then will take a very long time to recover. Because of the dark and lush appearance of Zoysia grass, as well as how durable it is, many people incorrectly think that they don’t have to worry very much about taking care of their lawn. However, Zoysia grass still needs regular maintenance in order to look its best. Mowing and removing excessive thatch from the grass are both important parts of maintenance, as is correct watering when there is a drought. In general, you don’t want to let your Zoysia grass get more than 1.5 to 2 inches tall. Once it has gotten closer to 2.5 inches then it is time to mow your lawn. 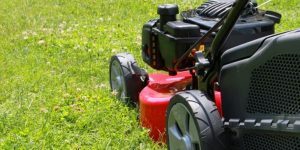 While it’s tempting to let your grass get tall and then mow it very short so that you don’t have to mow very often, this practice will have poor results. You don’t want to remove more than 1/3 of the blade length. 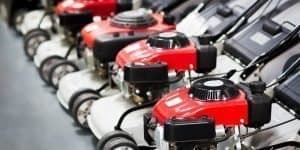 It is helpful if your type of lawn mower has mowing height adjustment. Additionally, it’s important to mow more often during summer months, as this will reduce stress on the lawn. Thatch can be a real problem with Zoysia grass because it has such a dense growth habit. It needs to be removed in early spring so that the lawn can easily recover. Testing your soil before planting Zoysia grass is a good way to make sure that the ground has the necessary nutrients. Zoysia grass doesn’t require as much nitrogen as other lawns, but it will need to be fertilized in order to look its best. While Zoysia grass can grow in sandy soil, it may need to be watered more often in order to maintain its attractive green color. Understanding soil composition is important for the best possible growth. While Zoysia grass doesn’t need a lot of nitrogen, it will still need some in order to look its best. It’s a good idea to use a complete fertilizer as the main feeding, but then to supplement with nitrogen as needed during the growing season. 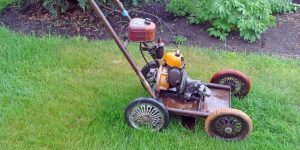 You never want to apply nitrogen to your lawn too closely together, so opt for doing it every 50-60 days. Additionally, make sure that you apply a slow-release fertilizer in the spring when Zoysia grass is going to be doing the most of its growing. It is also a good idea to use a winterizer in the fall. This will help your Zoysia grass get the rest that it needs in order to grow in the spring. 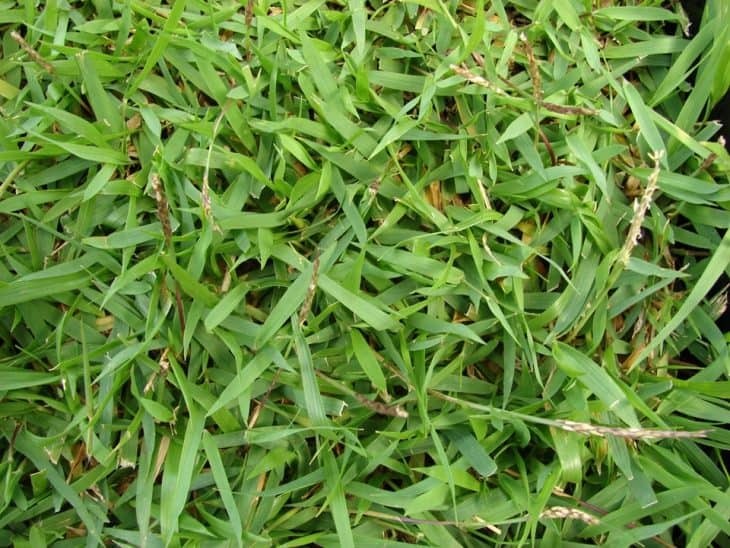 One great thing about Zoysia grass is that because it is so thick, it is difficult for weeds to grow in the lawn. This means that you won’t have to use weed killers very often. However, sometimes there are some weeds that will crop up, and using a weed killer will quickly take care of the problem. There are some varieties of Zoysia grass that can be infected with common diseases. These diseases include rust, dollar spot, brown patch, and leaf spot. Having the right diagnosis is imperative if you are going to be able to successfully treat your lawn and get rid of the disease. Finally, there are some pests that are highly problematic in the south and will love to attack a Zoysia grass lawn. Crickets, moles, and nematodes are all very common, as are billbugs and grubs. It’s always a good idea to pre-fumigate the soil where you are going to be planting Zoysia grass to try to kill nematodes, and add organic matter to discourage them. Other soil insects can cause damage without fast treatment once you notice that you have a problem. Treat for billbugs in the early spring as soon as you see signs to best control them. Using an organic lawn insect killer is preferred compared to the more toxic varieties. 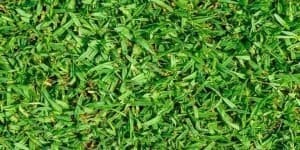 To try to decide what kind of grass is the best choice for you, you will want to compare it. 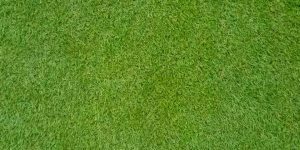 While Zoysia grass is a very popular choice, these other three grasses are also common and may be a good choice for you as well. The primary difference between these two types is that zoysia is a warm season grass, whereas Kentucky bluegrass is a cool season grass. They both do well in the transition zone. While Zoysia grass tends to have thicker blades of grass, Kentucky Bluegrass has a very pleasant texture as well as a much lighter color. They are both very dense types of grass, which means that they can handle a lot of activity. 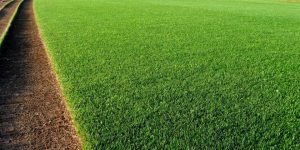 Kentucky Bluegrass, in general, is a better option for athletic fields, as it is better at standing up to use in organized sports than Zoysia grass tends to be. Kentucky Bluegrass also spreads very quickly, which Zoysia grass takes a lot longer to spread and to establish in new areas. They are both commonly sold as sod, although Kentucky Bluegrass will easily grow from seeds. In terms of drought resistance, Zoysia is a much better choice for homeowners in areas who suffer from droughts on a regular basis and will look healthier than Kentucky Bluegrass in dry situations. Both warm-season grasses that prefer to be in full sun, Zoysia and Bahia grass are both tolerant of the heat, won’t easily brown when there is a drought, and don’t require a lot of regular fertilization. While both types of grasses germinate slowly, Bahia grass is much easier to start from seed than Zoysia grass is. They both will brown in the winter, but Bahia grass will green up faster, especially when compared to Zoysia grass in a cooler climate. Additionally, Bahia grass can be grown at a slightly higher height than Zoysia grass, which is ideal for homeowners who really want a lush appearance. Unfortunately, Bahia grass can turn yellow when in a yard with a pH over 7.0, which is why soil testing is so important. Both of these are warm-season grasses that grow slowly, stand up to drought, and brown easily in cold weather. One major difference between the two is that Centipede grass does not do well when in a salty environment, which makes Zoysia grass a much better option for planting near an ocean. Additionally, they both do well in sunny lawns with little shade, but Zoysia grass will do better when faced with a period of drought. Zoysia is a much hardier grass in areas with low rainfall like California and Arizona. Finally, while Centipede grass is very attractive, it is not able to stand up to foot traffic and wear and tear the way that Zoysia grass is, and it will easily become damaged.